If you have a disability, but it does not affect your ability to perform your job, employers are not permitted to discriminate against you. Unfortunately, some employers look upon an employee who has a disability as “damaged goods” and so they treat these employees differently than they do others. In fact, some employees are discriminated against even if they do not have a disability — because their employers perceive them as having a disability. For example, we handled a case where an employee had cancer, causing him to take a few months off for treatment. When he returned to work, he was absolutely fine, but his employer had demoted him, and actually told him, “Hey, you have cancer. We don’t know if we can rely on you anymore.” This was illegal discrimination due to a perceived disability, and we were able to get a great settlement for our client. If you believe your rights have been violated because of a disability, or perceived disability, call us to have a confidential conversation to determine if you have a legitimate claim. We are experienced, tough employment litigators who will fight for your rights and for maximum compensation. 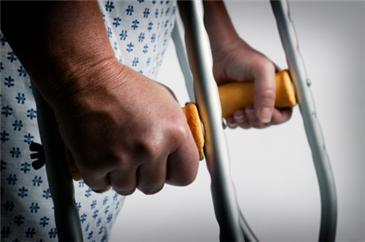 If we end up filing a claim on your behalf, you will pay us only if your claim is successful.